The big day has come for you to move. You put all of your personal belongings into boxes and transport them to your new residence. As you unpack you notice many of your delicate items have been damaged or completely ruined. This is the result of items not being protected and packed correctly. If you will be moving to a new residence soon, below are some ways that you can protect your items. Being mindful of them will ensure you do not suffer the frustration and disappointment that often accompanies the discovery of damaged personal items after the moving process is complete. Moving is a rigorous and time-consuming process. Most people choose to recruit friends and family members to help however the inexperience of these people in handling items to be moved can result in damage. Hiring movers increases the chances of all of your belongings being moved to your new residence safely. This is because they are skilled and experienced in handling everything from delicate antiques to big appliances and pieces of furniture. Movers also has equipment such as dollies, hoisting straps, and moving blankets that will ensure your items are protected and moved in an effective manner. If you have also hired movers to help you pack in addition to moving and transporting your items, they also possess the know-how to do so in a way where they will be safe. When your items are in transit in a truck, there is always risk of them coming into contact with other items or moving around. As a result items sustaining damage and being ruined is a very real possibility. You would be disappointed to start unpacking and find that some of your most cherished belongings are broken beyond repair. When packing your items, be sure to wrap them in a way that they will be protected when en route to their destination. Wrap your delicate items in bubble wrap as this provides an effective barrier between them and others that may break them if they come into contact. If the item is significantly smaller than the box, fill in the extra space with newspaper. This will prevent it from shifting and breaking during transit. If you do not have newspaper to use, fill in the space with towels or linens. You have a lot of different items that you need to move, from antiques and family heirlooms to books and clothing. Because these belongings consist of different weights and sizes, you need to have an array of different boxes, so they can be adequately supported during transport to your new home. When packing make sure your boxes are strong enough to transport what they enclose. You definitely do not want to take a chance and have something break. Therefore, if you are wondering whether the bottoms of your boxes are durable enough, add more packing tape to the underside of them to add extra reinforcement. 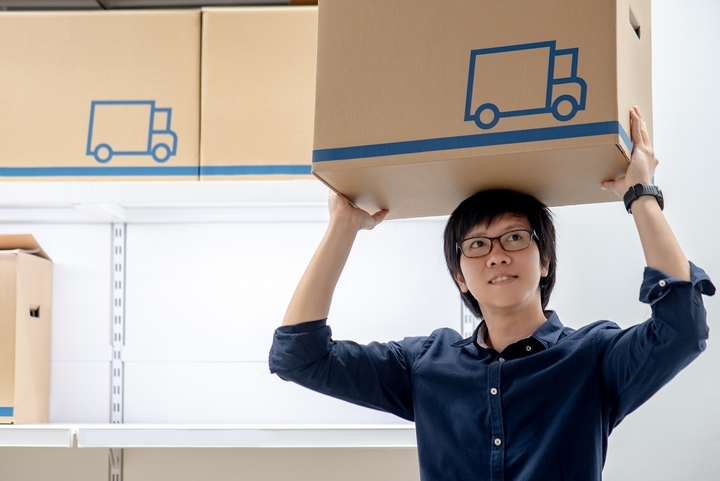 You also do not want to overpack your boxes as they may be too heavy for you to lift when moving and this increases the chance of items breaking. Putting heavier boxes at the bottom and lighter ones on top will reduce the chances of the light ones being crushed during transport. If you have antiques, heirlooms, or irreplaceable art pieces, consider using special crates provided by a moving company. This will prevent tape and paper from sticking to them and causing damage and they will be enclosed in packaging durable enough to keep them safe from harm until the reach their destination.